Happy publication day, Angela Marsons! 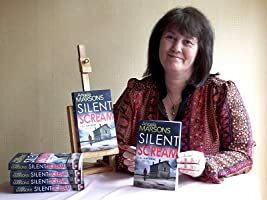 It’s almost two years since I read Silent Scream, (you can read my review here) and it brings me so much pleasure each time I see the news that there’s a new book out. This series is by far one of those that is going to stand the test time, as far as the characters have come, there is so much more for them to do in the future. Don’t worry if you’ve not read any of the other books, Marsons has a wonderful ability to detail the past so you know what’s happened without it spoiling the current plot. Nine books in and I get just as excited about each new book as I did when I first two years ago. And the best thing, I’m NEVER disappointed! Marsons has kept this series fresh and relevant and completely compelling. I’m not to rehash the plot, just trust that the blurb tells you what you need to know and that it is brilliant. What I am going to talk about is the team. And what a team they are. Still reeling from the events of book eight, they are struggling and just when you think know everything about them, Marsons reveals more about their pasts and personal lives making you fall even further in love with them. Stone is one of the most complicated characters around, she is strong, her childhood would have crippled anyone else but not Kim. Kim takes all the hurt and pain and channels it into making herself be the best cop she can be, whether that means doing things by the book or not, she does what she needs to to get justice. She is fiercely protective of those she loves, not that she’d ever admit to loving anyone mind! Book eight saw irreparable damage to the team dynamics and book nine sees them adjusting to that change and it’s heartbreaking. I’ve said before that each book is like a family reunion, and it’s so true. I’ve connected with these characters and I feel their pain. I feel everything for them. As we watch them struggle with the new way their lives are going to be from now on, we see a side to some of them that we haven’t seen before, new dimensions and new feelings. It’s amazing how Marsons manages to keep it so fresh but testament to her superb writing skill that she does. 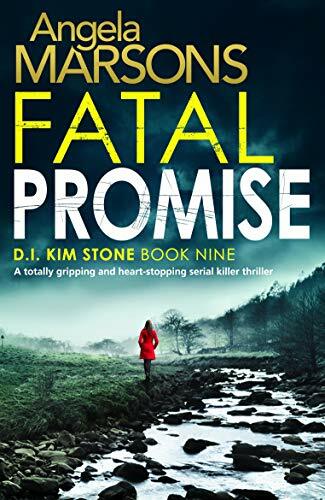 Once again, Marsons is on top form and Fatal Promise is set to be another bestseller and is a turning point in a series that goes from strength to strength. Fast and pacy, gritty and compelling, Fatal Promise is so much more than a police procedural. Now hurry up with book ten please! I pre-ordered my copy the day it went live on Amazon, so thank you me for buying it but thanks also to the author and team at Bookouture for sending me an advanced copy too, I bloody loved it! This is the second review of this I’ve seen today and yours raves about it just as much as the first. I’m definitely going to have to check this series out – thanks for a great review! Thanks, Lindsey! It’s a cracking series!